Peter Forbes completed the Taupo Ironman a month before his 63rd birthday in 2013. 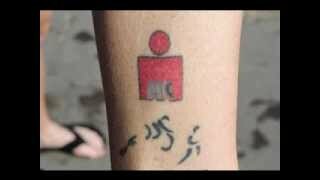 He had made a deal with some other competitors that if they all finished the Ironman they would get a tattoo each of the Ironman logo. 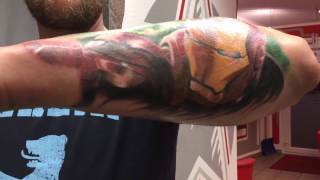 The others did... Dad finally got his tattoo on Jan 9 2016 - nearly 3 years after completing the Ironman - at White Rabbit Ink in Auckland. Tribute to all who've heard "You Are An Ironman!" - then inked up! 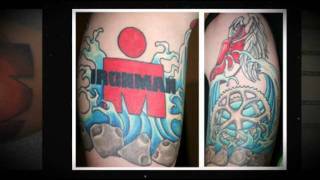 Link Video : http://youtu.be/ac0nObkPTGI =============================== Watch a sample many tattoos for ideas or make you inspiration : example tattoo : - 3d Tattoos - Tribal Tattoos - Dragon Tattoos - Female Tattoos - Tattoos in arm - Tattoos in foot - etc "Ironman 3 Tattoos Design 2015 HD"
My first tattoo, an m-dot to commemorate Ironman South Africa, with a little extra flare to make it an original. Special thanks to Chris @ Slave to the Needle in Seattle for his fine work & patience!